and 600 web-pages of Astrology, Mythology and Astronomy! 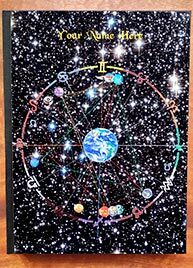 Your complete astrology reading woven throughout a 350 page personalized hand-sewn Fine Art Book. Understand for the first time the principles upon which You and the Universe are based. Astronomer, astrologer, poet, musician, educator and photographer Carl Woebcke shows you how your life fills a unique and profound place in the cosmos. Your astrology reading is the jewel at the center of this masterpiece, and comes to life through Carl's synthesis of more than 40 years of practice and teaching at six Universities. Return time and again to this gallery of the spirit, for here you will finally possess the tools to inform, empower and actualize your soul's purpose. All 5 major and 4 minor aspects interpreted & strength-rated. All 9 planetary aspects to the four angles interpreted. 10 planets and Moon's nodes interpreted by sign and house. All planets on the "dark side" of all 12 houses interpreted. Moon's TRUE nodes interpreted by sign and house. and illustrations, by far the finest available in any book. 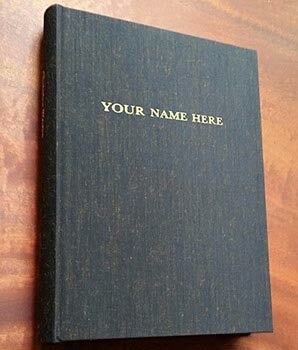 Your name on the cover of your hand-sewn book. Easy-to-read 333-term glossary and comprehensive index. A Sample of the Astrology Reading Version in Book 1.
the relationships of all 12 planetary house rulers to the houses they rule. A Sample of the Astrology Reading Version in Book 2. A Sample of the Astrology Reading Version in Book 3. A READING with the AUTHOR, $150. With your Complete Astrology Reading! 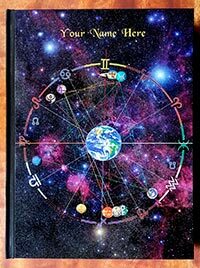 "This astrology book weaves your personal astrology reading through a beautiful presentation of astronomy, astrology and mythology in a personalized book revealing the connection between the self and cosmos to the heart, the mind and the eye." 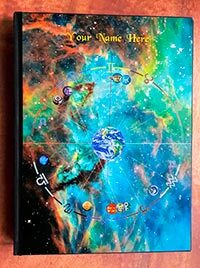 "This astrology book is a completely new unique combination of a personal astrology reading and lovely coffee table book. Even better, in its pages three rivers run together into the same deep ocean: stirring art, graphic astronomy, and modern astrology. Both sides of the brain are instantly engaged; understanding blossoms." 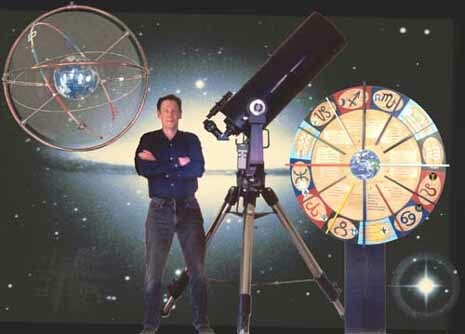 "Carl's astrology book is a customized astrology reading par excellence. This beautifully conceived book interweaves three disciplines in the exploration of an individual horoscope...a unique birthday gift for a special friend...a valuable, inspiring reference...a source of education and revelation for many years to come." 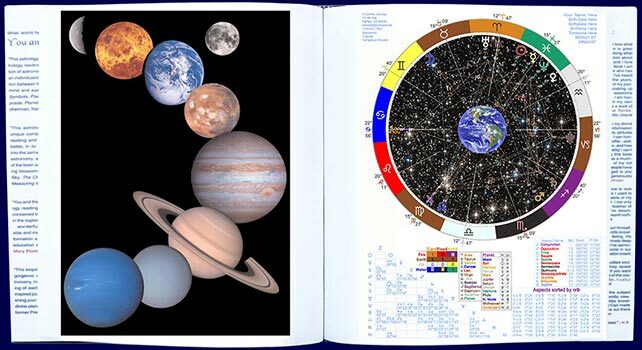 "This exquisite astrology book-astrology reading, illustrated with gorgeous, vibrant graphics, links astrology, astronomy, mythology and history. 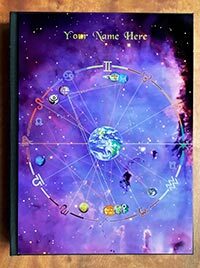 With the turning of each page this personalized book takes you on an inspired journey through your birth chart, deepening your knowledge of the universe and your place in it." "Ah, the book has arrived. It is beautiful. I love what you have put together. The information is great and I will spend days and months absorbing what you have written. The scientific information about our galaxy is beyond my expectations and I love it. Moving through the pages of my new book I am awestruck. You are the FIRST astrologer who has hit my life on the exact line of my spirit. I've heard the usual from several people over the years, but no one got into the Spiritual aspect of my journey on this Earth as you have. I am soaking up this information and taking it in with an awesome feeling that you are looking into my soul. I am honored. I will be showing this to many of my own clients and students of astrology. This is a work of Art, Wisdom and Mystery. "- Katherine Torres, Ph.D., author, The Faces of WomanSpirit, Celtic Oracle of Avalon. "Carl's book is the most beautiful gift I have ever received." - H. S.
"I just wanted to again thank you for both your book and our phone conversation. You are an enlightened man and I'm very grateful to have spoken with you personally. Talking with you was part of the great time I've been having lately. I feel more confident and trusting of myself to succeed at creating the life I want. I've had some amazing experiences and wonderful opportunities since speaking with you. And again, I credit you with helping me in a way that only you could at a time when I needed it the most. Thank you, Wizard, for sharing your creative thoughts with me. Your friend." 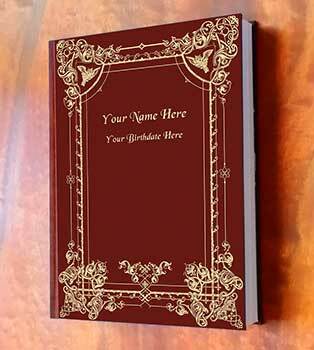 - Derek C.
Personalized Book Covers with your own Birth Chart on the Cover for Books 1. - 3. above. The book begins with the descent of your soul into a body on Earth, as depicted by facing-page photographs of you as an infant and your city of birth seen from space. It continues with beautiful astronomical photographs, poetry, stories and a pictorial history of astrology and astronomy from Pythagoras to Einstein. This is followed by color-coded tables of the planets, signs and houses, their groupings by element and season, and simple explanations of the major and minor aspects. An optional in-depth synthesis/emphasis reading of your horoscope based on your birth date, time and place (Book versions 2. and 3. above) can then follow. Next come the origins of the solar system and the Greco-Roman pantheon, respectively illustrated by paintings, statues, and the author's unique Theogony table. Each of the 10 planets is then presented from astrological, mythological and astronomical perspectives, with complete astrological interpretations by sign, house and aspect based on your birth data. Each of the 12 astrological signs is depicted with a magnificent full-page allegorical painting by Johfra Bosschart. A pictorial exploration of our outer solar system through the Kuiper Belt and the Oort Cloud follows, with photographs and explanations of our latest understanding of interstellar and intergalactic space . . . all the way to the end of the universe 13.7 billion light years away! 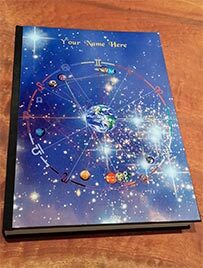 This in turn is followed by the 12 astrological houses in your personal chart with complete interpretations of your planets in them illustrated by the author's award-winning three-dimensional models. The fine art book concludes with illustrated sections on telescopes, planetary patterns, the century-high tsunami we are all now surfing as the Age of Aquarius comes in, Pluto in Capricorn in which we are all also embedded, a 333-term glossary and a comprehensive index (see the book's table of contents). The author writes, lays out, edits, prints and ships each book for you personally himself. 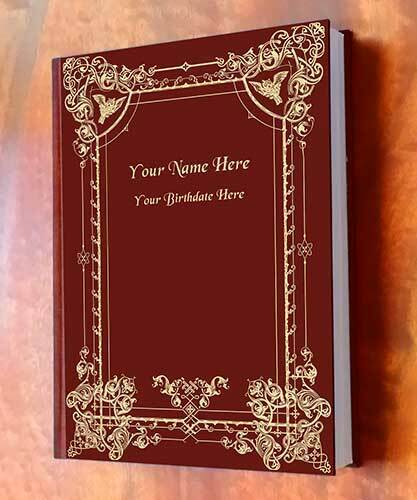 And now this masterpiece's binding is individually and professionally hand-sewn by the last binder still operating in the San Francisco Bay Area, permitting the use of very fine, thick, smooth 9"x12.6" paper from 18"x12.6" folded signatures. Continually updated, the book contains information and photographs from the 2016 New Horizons Pluto and Juno Jupiter Missions, as well as the latest discoveries from recent revisits to the site of the Antikythera mechanism. Order your personalized Fine Art Book or Reading now! copyright Carl Woebcke 1991-2018: An Astrology Reading in a personalized, Fine Art Astrology Book. All rights reserved.